Office removals do not have to be a time consuming and costly exercise. We understand all the moving parts involved in making a seamless office move. That is why we work with you through all the logistics involved, we will survey your old and new premises and draw up a plan of action with you. We fully appreciate that when it comes to your business time is money, that is why we can do the actual move anytime of the day or night, in fact we have moved offices at 7pm and had them up and running in their new location by 7am the next day. For bigger office removals we can handle the move over weekends and holidays. So what ever your circumstance we have you covered. So whatever your situation or budget why not call Peter today for a free quote? When handling office removals the safety and security of your property and equipment is our biggest priority. 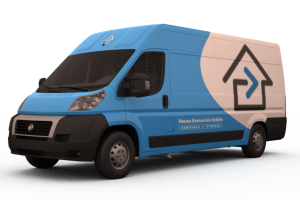 Our professional and experienced removal crew will make your office move fast,secure and hassle free. Equipped with heavy duty lifting straps, filing cabinet moving trolleys, hand-trucks, flat skates, pallet-trucks and tail lift removal trucks we have everything needed to get the job done. We now offer special moving crates ideal for office moves, they are strong lidded plastic containers that are super easy to pack and move, reducing the time and costs of your office removal. 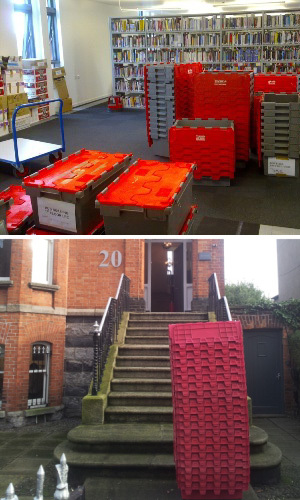 We also offer long and short term storage in our secure Dublin facility. Click Here to learn more about our storage options. We understand that moving office can produce a lot of unforeseen expense. 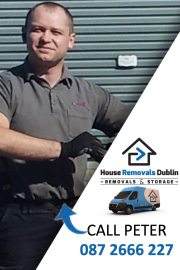 But with House Removals Dublin you don’t have to worry about any nasty surprises on the final invoice. Our pricing structure in a clear, transparent and upfront.